I love signing up to mailing lists for special deals whether it be for lunch or dinner. I am sure many of you know and some of may have forgotten but it is Father’s Day this weekend. Jamie’s Italian is in full promotional spirit and released a special offer of two courses for £18.95 this Father’s Day. Now, that’s a bargain! So, just what can you expect from the menu? Put simply, many “manly” dishes. There is 35-day dry aged Sirloin Steak with truffle hollandaise, Chargrilled Pork Chops in marsala juices and a classic Fish in a Bag not to be messed with. It is slightly a shame that there are not many Italian dishes on the menu. For example, this Silky Penne Carbonara. 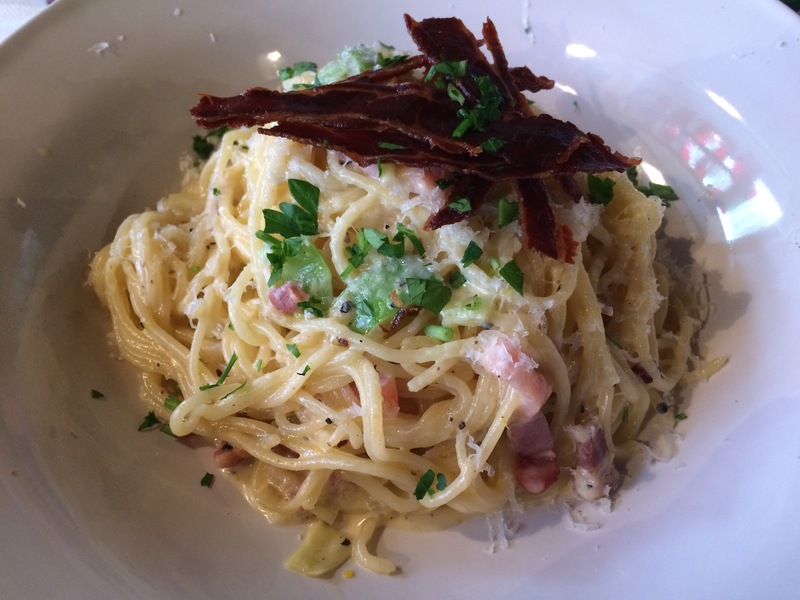 Clearly, it’s spaghetti and not penne but the silky mix of melted parmesan cheese, leeks and packed with smoky pancetta would also go down a storm. It is however available on the regular menu for £6.55 and if you want a really hefty offering, you can go large for £10.95. However, you probably won’t have room for dessert. 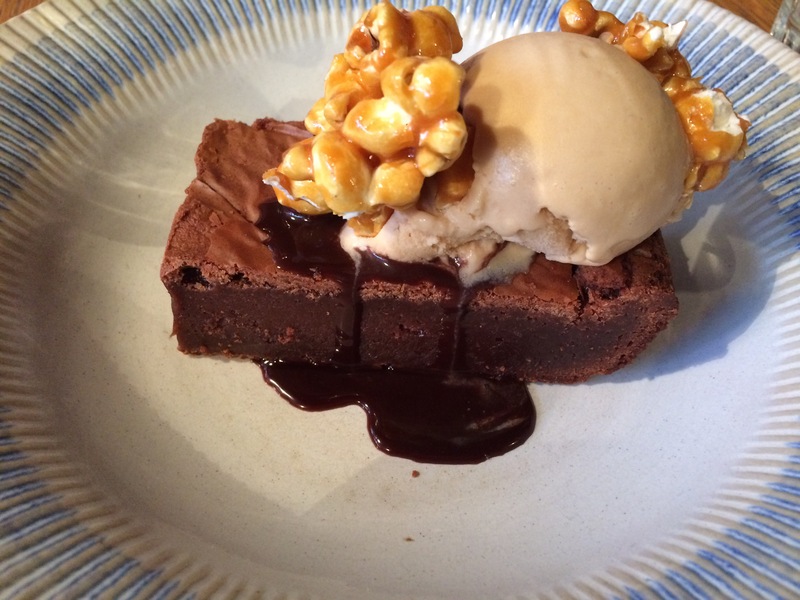 Surely, you wouldn’t want to miss this Epic Chocolate Brownie (£4 on the Father Day menu if you had a starter). Rich with tempting dark chocolate this dessert is served with salted caramel popcorn gelato, caramelised popcorn and a waterfall of chocolate sauce. Virtually gorgeous and worth every bite. There are also new options to be had such as the Baked Vanilla Cheesecake or even Jamie’s favourite Lemon Polenta Cake. The £18.95 offer is valid between 16th and 18th June, so make a reservation while you still can and make you dad feel special this Father’s Day.